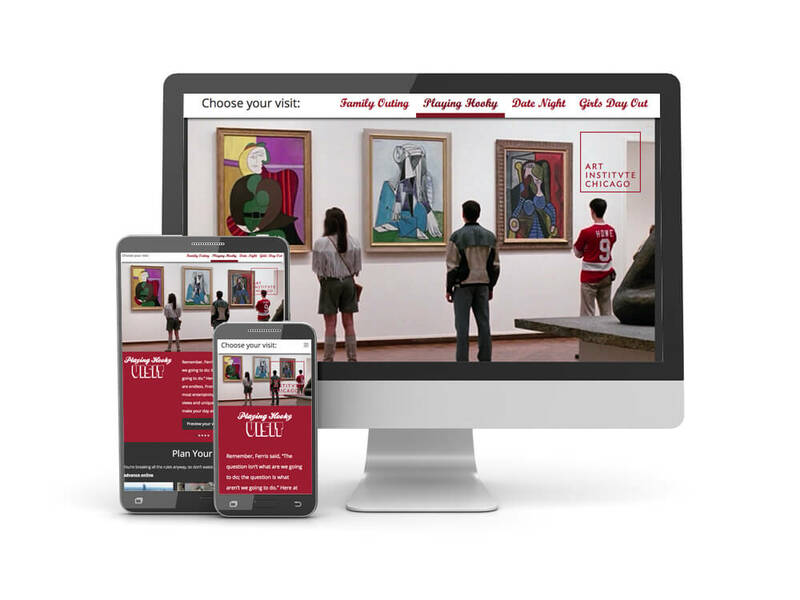 I'm a web developer currently working as part of the Digital Marketing team at the Art Institute of Chicago. 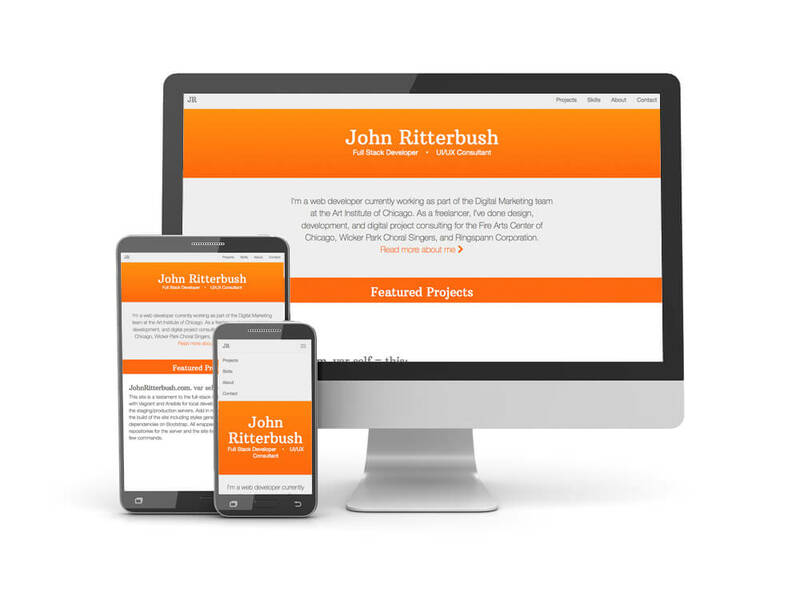 As a freelancer, I’ve done design, development, and digital project consulting for the Fire Arts Center of Chicago, Wicker Park Choral Singers, and Ringspann Corporation. Van Gogh's Bedrooms. Promotional Site. Van Gogh's Bedrooms. AngularJS Quiz. Visit Art Institute. Tourism marketing site. 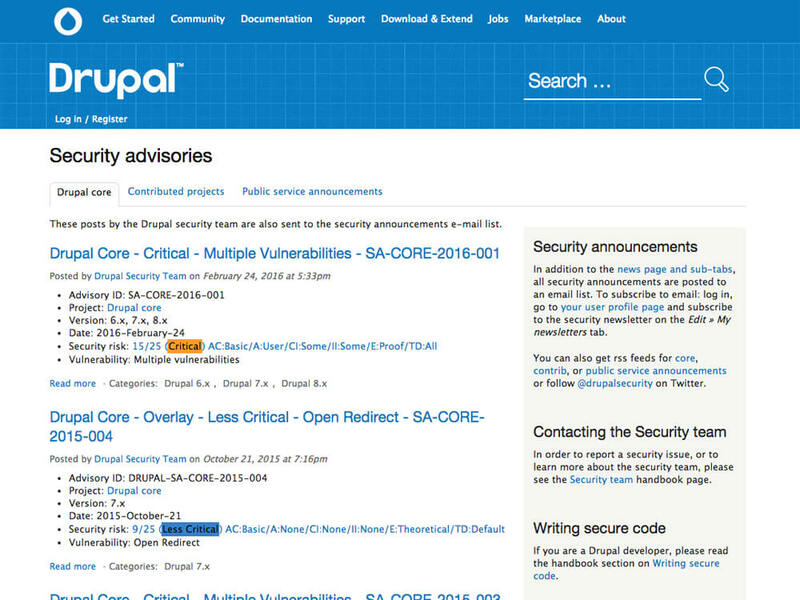 While not as exciting as the other items on the list, making sure the latest security patches are applied to a site running on Drupal is critical. I stay tuned into the Drupal updates to ensure the latest and greatest is always running. Also important in this process is to talk to the content producers to find out which areas of the admin need feature enhancements and bug fixes. Using a local server running PhantomJS and CasperJS, I built out tests for various sections of our site to ensure updates to the code or database didn't break functionality. Tests run on local development, staging and production servers to check at all levels of deployment. 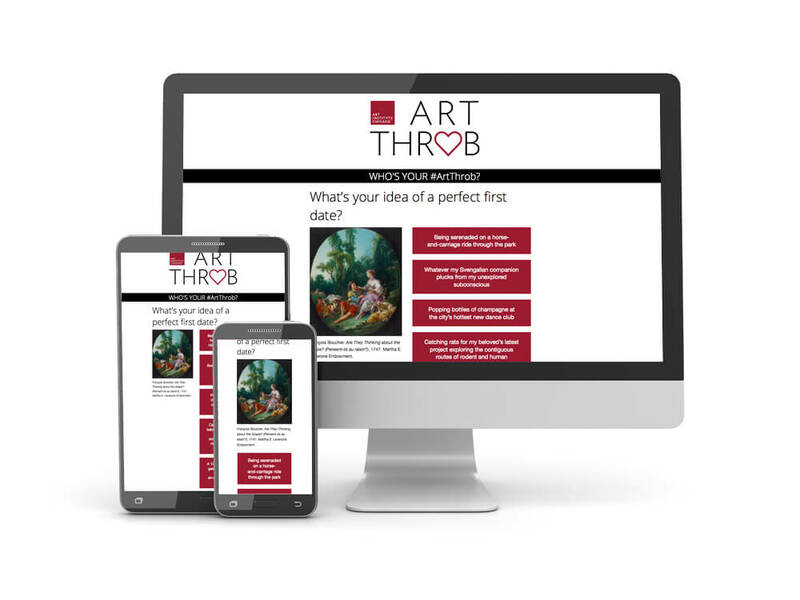 Converted fixed-width Wordpress themes to responsive layout. 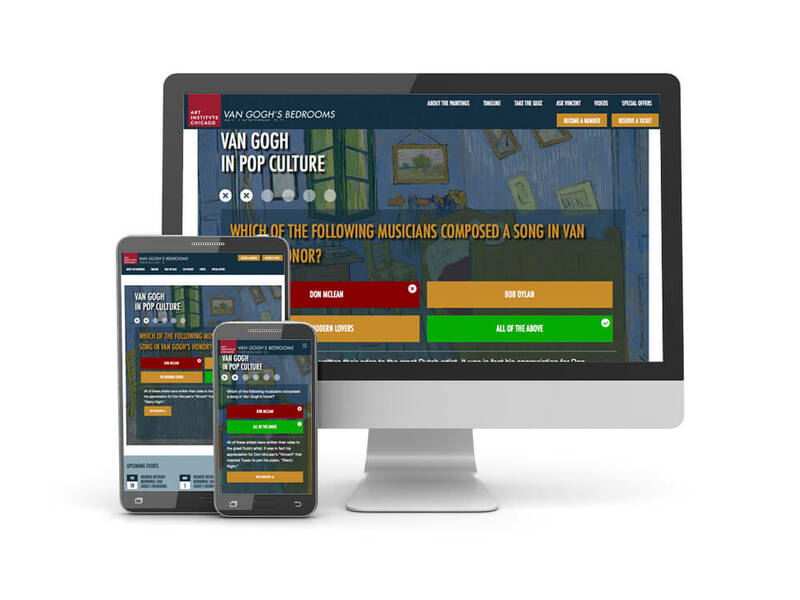 Improved accessibility on mobile devices and helped pass Google's Mobile Friendly Test. Sometimes it's fun just to tinker around. I use FreeCodeCamp and CodePen as a way to test my skills and try some new tools as well as quiz myself on some basic knowledge. CodePen is also a great way to try out an idea or explore a library/framework for future use. Visit my CodePen for examples. I make it a priority to write semantic markup which not only improves accessibility and findability, but also makes for more future-friendly code. I am familiar with LESS and SASS preprocessing as well as using tools like Autoprefixer to make CSS compatiable with as many browsers as possible. I have worked with a variety of content management systems and frameworks. The bulk of that work revolves around Drupal and Wordpress. Tools like Vagrant and Ansible for server automation plus scripting automation from NPM, Bower, Gulp, and Grunt, have made continuous deployment much less of a chore. I use these tools every chance I get. I maintain and develop projects mainly in PHP and Ruby, but have also worked on small projects with ASP and Python. My primary database of choice has been MySQL for ease-of-use and compatibility, but have worked with Microsoft SQL and NoSQL databases like RethinkDB. I am a self-taught web developer with a background in art and art history. On paper those things seem disconnected, but the knowledge I gained in both practices have been critical in my development. 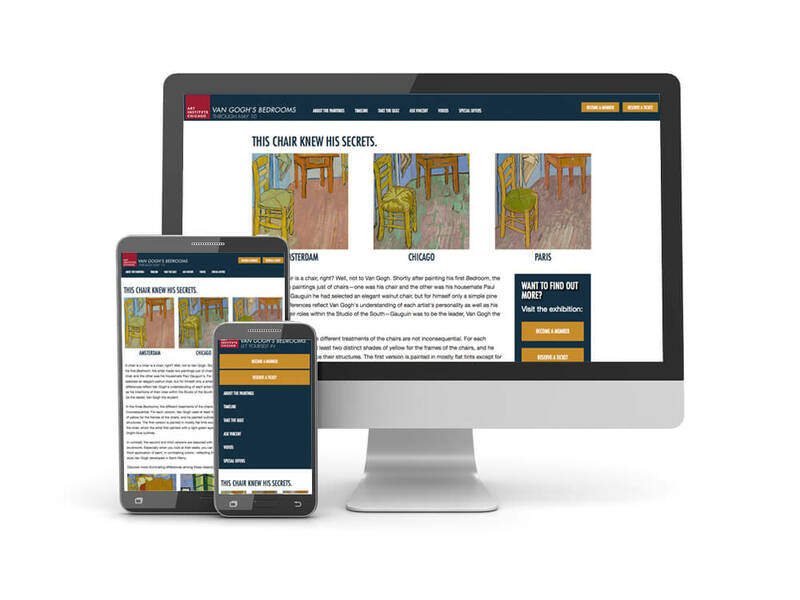 My interest in art and education led me to volunteer my time to improve the website of a local arts center. In return, that experience led me to pursue web development, a career I have found equal fulfillment in. Since then I have continued the ongoing process of learning and have built a personal library of development knowledge. I am always excited to take on new challenges that let me expand and share that set of tools. My fine art practice focused on the lost-wax, bronze-casting technique. Similar to web development each step builds on the previous one—from creating a clay model to finishing the bronze—if you don't understand all the steps in the process, you jeopardize the final product. Working in this tradition taught me to be aware of each action and its role in the project, ensuring the best result for the client and their customers. Hours of research are the backbone for a great art historian, in the same way that hours of online research result in great development. If you run into a problem in your work, the solution is just a search away. And if that search turns up nothing, you celebrate because you just found your focus or thesis. Even when the result isn't out there yet, the solution becomes a synthesis of existing ideas to solve your problem. Dedication, time, and a few breaks can lead to great results. The first couple of flops (some still floating around the interwebs) are hard. Each time I wanted to walk away and give up but I soon realized that those were the best moments to learn from. Now I embrace mistakes and let them educate each subsequent project. In the digital marketing department, I serve as web architect. In that role, I have improved revenue tracking across three separate sales channels in Google Analytics, brought our Drupal development in-house saving money and time, converted email campaigns to responsive templates, and developed promotional sites for marketing campaigns. As a web developer in the marketing department, I oversaw the migration from a proprietary CMS to Drupal, coordinated the launch of a new sales channel, assisted in the development of several promotional email campaigns, and maintained and developed content to supplement on-air programming. In the role of webmaster at Nimlok company I was tasked with a wide variety of jobs. Primarily I maintained over 85 websites for the US main office and its distributors. I also created email templates for a variety of customer and distributor communications. As a freelance developer, I have worked for a variety of clients ranging from local arts groups to international, industrial manufacturing equipment sales. I develop Wordpress sites, improve search engine optimization, convert fixed-width websites to responsive, and provide an expert voice on digital projects. Read more about my experience on my LinkedIn page.